• Extremely high TDP rating supports heavily overclocked CPUs and demanding systems. • Increased air pressure thanks to a highly efficient blade design of the two 140mm Pure Wings 2 PWM fans, making these fans the perfect partners to work with the radiator. • Compatible with Intel® and AMD sockets. • Quick support is available via our international hotline, Mondays to Fridays from 9:00am to 5:30pm CET: +49 (0) 40-736 76 86 - 98. • High-resolution gaming and multimedia systems. 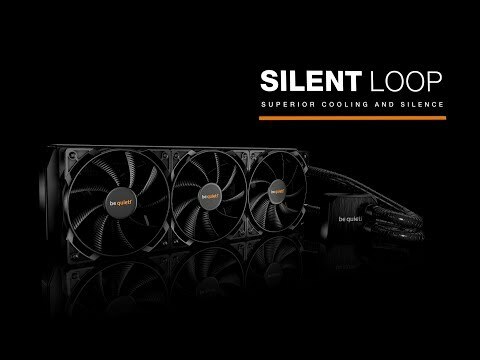 • Any PC that requires superior quietness, such as audio editing, studio work, or simply a HTPC. Features • All-in-One water cooling provides everything you need in one package. • Two Pure Wings 2 140mm PWM fans feature airflow-optimized fan blades and variable speed operation. • Compatible with Intel® and AMD sockets, and sized to permit full use of RAM slots.